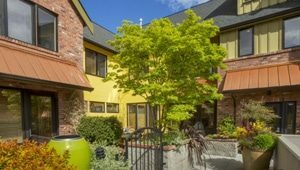 The Eagle Harbor Inn is intimate and unique and we call it our “petit hotel.” We offer very special overnight accommodations in five one-of-a-kind hotel rooms and three custom townhomes – built around a garden-filled courtyard. The Inn could be your destination for a romantic getaway, a family reunion, your corporate retreat or a weekend hideaway from the stress of your everyday life. The Inn is warm and welcoming but also quiet and private. 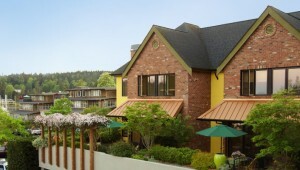 And The Eagle Harbor Inn offers a touch of class for your next visit to the Pacific Northwest. The words of praise that we are most proud of, however, come directly from our Inn guests. You’ll find their testimonials across our website. We take great pleasure in the fact that our guests really enjoy our Inn – and that our dedication to exceptional guest experiences is recognized. 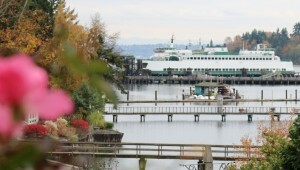 And not to be surpassed, our location can’t be beat – on the edge of downtown Winslow, ours is the perfect launching point for walking to the ferry, main street shops, renowned restaurants, our Island theaters and farmers market, the marina, and our nearby waterfront park.